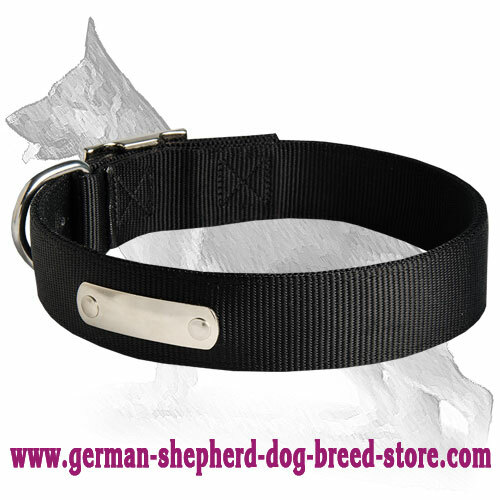 Today we want to offer your attention this Excellent German Shepherd Nylon Dog Collar! 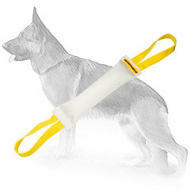 It will become a perfect equipment for walking, training and handling your dog, because it is universal tool. 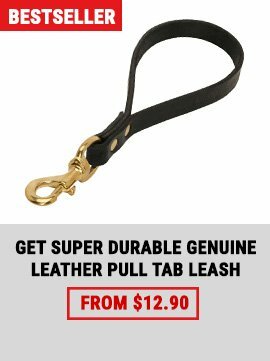 It is much easier in use and maintenance than leather collars, and it is also cheaper! It won’t lose its look because of the bad weather - and it won’t also create any discomfort for your dog (for example, it won’t stick to his skin during cold weather)! 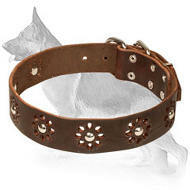 By purchasing this collar you can be sure that you are buying the product of the high quality. 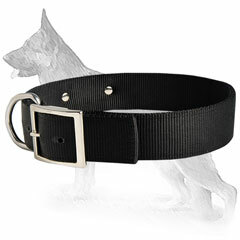 No need to doubt - order this collar in our web store and you won’t be disappointed! 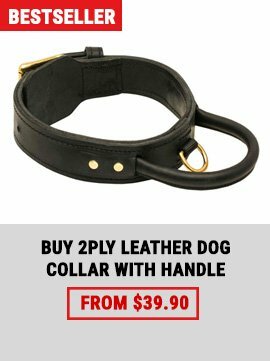 This collar is truly a high quality equipment. 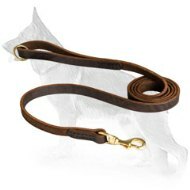 It is made of 2 ply nylon, which makes it durable and reliable - you can be sure that your dog won’t probably be able to damage or break it somehow. 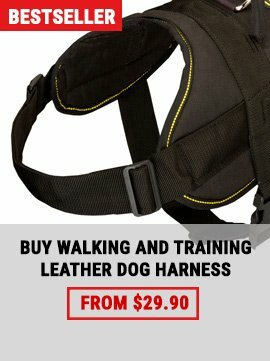 It can also be used for any activity in any weather, because it won’t make your dog feel uncomfortable and won’t make any harm to his health. It has a special nickel plated buckle and D-ring, that will help you in the questions of adjustment and controlling. The buckle, with the help of special holes, will help you to adjust the collar in the way to comfort your dog and the D-ring will help you to attach the leash and, therefore, to raise your ability to control your companion. The collar also has a special name tag plate. 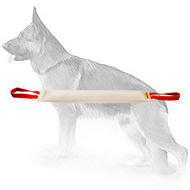 You will be able to engrave your dog’s name on it and other useful information that will help to identify your pet. That will give you the ability to find your pet faster if he gets lost somehow. 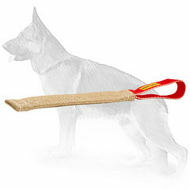 And, of course, that will give your pet some unique style and will make him look cool. Attention! 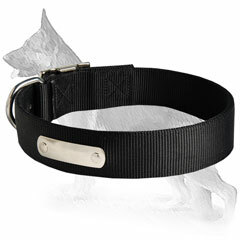 We do not provide collars with the engraving on the tag, you may do it locally.